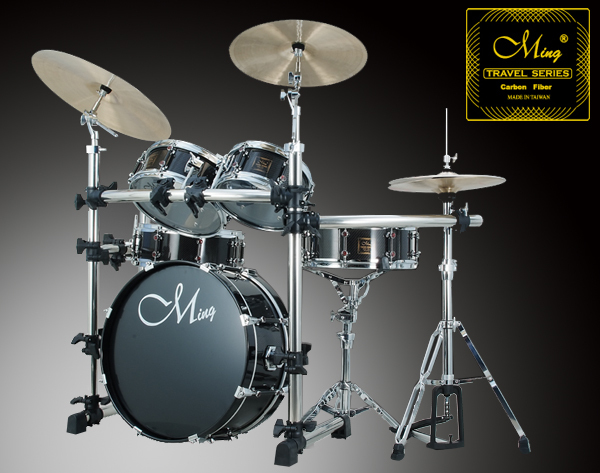 The Travel series is designed for the occasion such as street performance, concert or outdoor drumming, it means this series can be placed in any place or space that common size drums cannot fit in. Combined with the light travel stand, the Travel Series is convenient to carry out and easy to assemble. With the characteristic of high density and light weight, the 100% carbon shell gives a quickly response and higher strength. 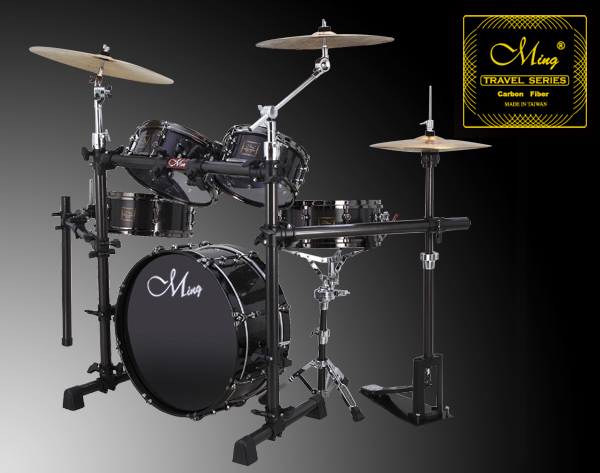 The bass drum gives off its powerful resonance though its size reduced, it attaches to the rack via tubes on either side of the rack that slide mounts on the bass drum. One of the benefits of this mounting system is the brackets on the vertical posts of the rack, to those tubes attach can be set to raise and kick drum off the ground. Besides, we add a bass drum raiser and you can suspend the 18" baby boomer to achieve a larger sound. 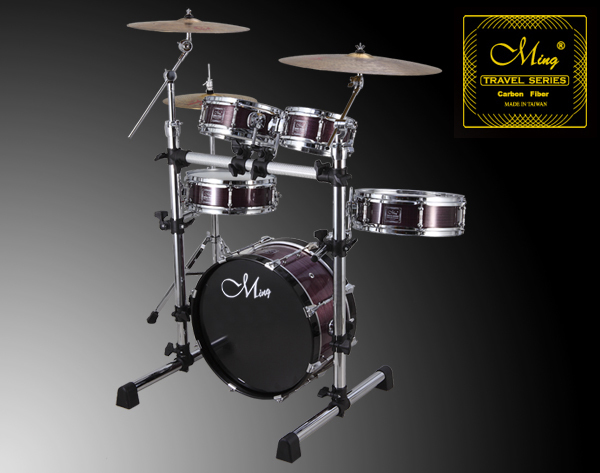 It ends up having good quality and the tone color sounds much richer with the double-headed drum and it has more tone than their single-headed rivals. Each drum settles have a nice note, and the 8-10-13 spread provides a pleasing pitch range with distinct separation between the drums. This combination works well on a typical "lite" rock gig with a five-piece band with the only boost coming from an AKG D112 on the kick. Transport is fairly effortless since the weight of drums set is light and it fits behind the back seat of a SUV. In most cases, it's hard to find a vehicle for which Travel Series wouldn't work.